May 2017 - Kenwa Trading Corporation, a specialist in door hardware and various door closing solutions. NSC/DSC series Sliding Door Closer is ideal, highly sophisticated and eco-friendly solution adding a self-closing capability to your sliding doors. Now, more accessories/add-on options are available for the NSC/DSC series, offering additional features and replaceability to the sliding door closer. 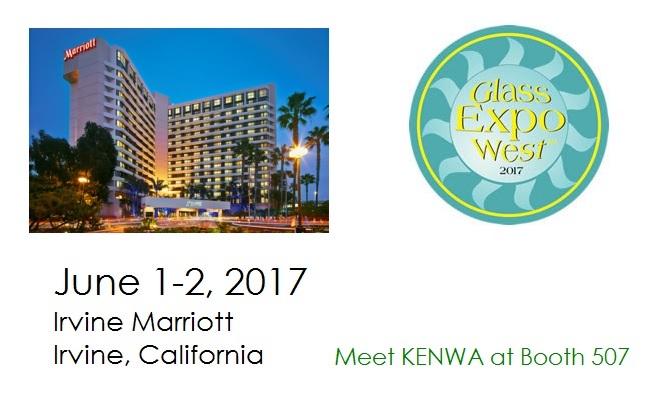 KENWA had a great showcase at MGA Glass Expo 2017 held in Greenbelt, Maryland on April 19. Our pivot door closer for glass door and sliding door closer have successfully drawn a lot of visitor’s interests. The biannual Glass Expo West™ is back and ready to bring qualified customers and prospects together to view the latest products and services in the architectural glass and metal industry. Please come and see KENWA at Booth 507.